As India celebrates its 72nd Independence Day this August 15, 2018, Chitkara University, Himachal Pradesh, seemed drenched in patriotic zeal and enthusiasm. 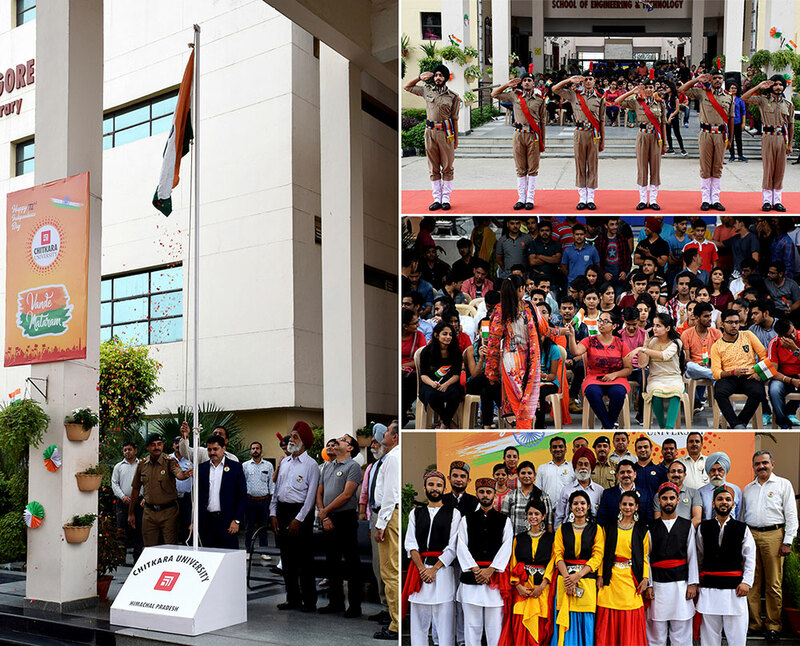 The celebrations began with March Past by NCC volunteers and flag hoisting by our Hon’ble Vice-Chancellor, Dr Varinder Singh Kanwar. In his address to the attending dignitaries, NCC volunteers, students and faculty of the university, Dr. Kanwar reminisced the lines of Swami Vivekananda, “Arise! Awake! And stop not until the goal is reached,” and asked all to pledge to work towards creating a self-reliant and self-sufficient India. The celebrations continued with a colourful cultural extravaganza. Amid rendition of Patriotic songs and spinning of the charkha, patriotic compositions were sung by a choir on the occasion. Students also performed various skits driving home the point that, no nation is perfect, it needs to be made perfect. We all need to contribute towards the perfection of your country.